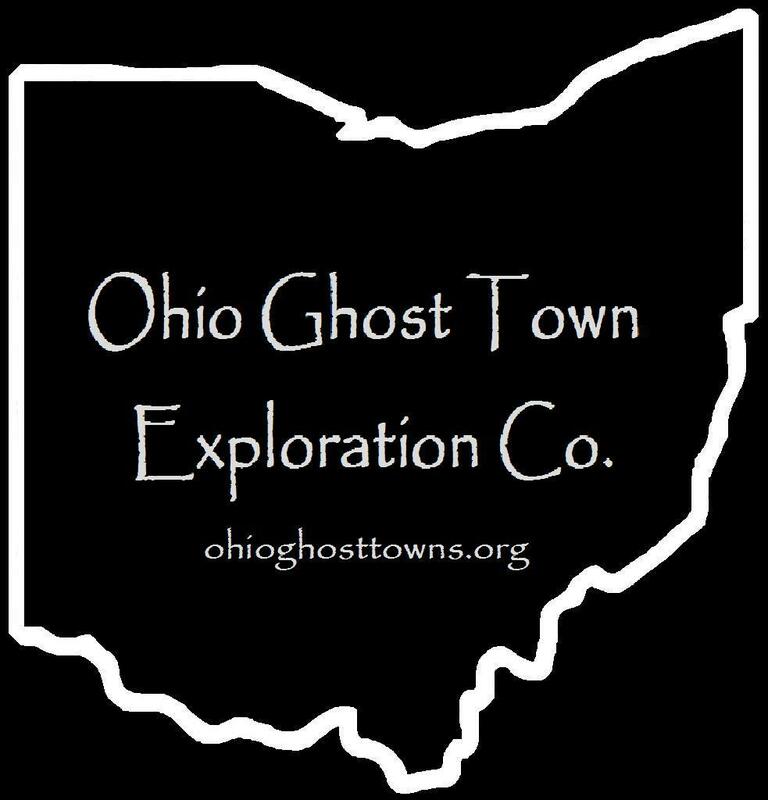 Coshocton County – Ohio Ghost Town Exploration Co. Featuring 2 towns with 10 pictures from Coshocton County, “Restored Ohio” is scheduled for release on April 29, 2019. It’s the sequel of “Abandoned Ohio” (2018) & shows a different side of what physically remains of Ohio’s past. Many of the locations operate as businesses such as restaurants, hotels (former stagecoach stops), museums, & working mills. Bacon is home to one of Ohio’s strangest ghost stories. The legend of Mary Stockum has been passed around by locals for decades, but before diving into that, we’ll explore some of the historical facts about the town. The area was settled by a mix of American born pioneers & European immigrants. Although farming was always the town’s main industry, construction of a mill on Bacon Run began in 1816. It started out as a grist mill & was later updated with a saw mill & carding mill. There was also whiskey still in operation prior to 1820. After the old mill fell into disrepair, Richard Fowler (1818 – 1892) & Sarah (Wells) Fowler (1816 – 1903) owned a saw mill on Bacon Run on the southwest side of the town’s main intersection. A post office was established in 1858 by John Sicker (1819 – 1900) who lived on the north side of SR 541 west of the intersection. William Fowler (1857 – 1929) & Nora (Criswell) Fowler (1861 – 1943) had a house across the street from John & were the first residents to run the general store at the post office. Bacon’s post office closed in 1906. The store was sold a few times & its last know proprietors were Fletcher Duling (1849 – 1929) & Mary Jane Duling (1851 – 1935) who purchased it in 1907. The town also had a church & school. There’s no historical evidence to support the legend of Mary Stockum, but what a tale it is! As the most widely told version of the story goes, one of Mary’s children was born handicapped. Her husband couldn’t stand it, killed the child, & was subsequently hung by the townspeople for his actions. Mary went crazy & began poisoning the rest of their children. As more of them died from the continual poisoning, the townspeople figured the causes of death out & burned Mary at the stake for being a witch. More of the children died after Mary was killed, so the townspeople dug her up & cut off her head, burying it on the other side of the cemetery from the rest of her body. Similar instances of digging up & beheading deceased people accused of witchcraft have been proven to be historically true in other places in the country, but not in this case. There were several women in the family named Mary Stockum over the generations & none of their death dates & their husband’s accompanying death dates coincide with the story. On top of that, there’s no newspaper articles or stories in the county’s history books that make any mention of the tale. However, the legend has been passed down by local residents, at least over the last several decades, & the cemetery is widely reported to be haunted. Some of the ghost story witnesses are very convincing & adamant about their experiences. Unfortunately, the subject has led to a massive amount of destruction & desecration of the cemetery. Stockum Cemetery, also known as Saint Johns Lutheran Church Cemetery, is on an unnamed dirt road off of County Rd 123. From SR 541, turn south onto County Rd 123 & go 1 & 1/2 miles to take the left fork in the road to the cemetery. The earliest known owners of the land were German immigrants Johann Stockum (1784 – 1867) & Eva Marie (Kabel) Stockum (1795 – 1874) who arrived in 1836. Following the passing of the property down through the family, the next owners were Christopher Stockum (1816 – 1878) & Mary Anne (Lutz) (a.k.a. Anna Mary) Stockum (1820 – 1863). Then it went to Jacob Stockum (1851 – 1917) & Nancy (Burden) Stockum (1853 – 1939). The last owner we found was Walter C. Stockum in the 1955 county atlas. The most historically accurate & likely truth to the legend is that the Stockums simply fell victim to the hard times & rampantly spreading deadly diseases of the mid to late 1800s, which had little trouble in wiping out a majority of family members within a home & passing on to its visitors. Rumors of the cause were mistaken by some who encountered the cemetery back in the day & didn’t know any better, then exaggerated as time went on. Many of Bacon’s other residents, including the Fowlers & Dulings mentioned in this listing, were buried in Plainfield Cemetery on Jacobsport Dr in Coshocton. Thanks to group member Chelssie (Thompson) Hanson for providing the listing lead, pic, & some of the info on Stockum Cemetery! The formerly mostly abandoned Roscoe Village has been restored & annexed into the city of Coshocton which was once its rival directly across the Muskingum River. Roscoe was originally called Caldersburg, settled by James Calder in 1816. James was a merchant whose business failed in Coshocton. After building his cabin, James had a 24 x 50 log tavern & hotel built on the land & platted Caldersburg with 67 lots. Another brick tavern was built in 1821 & the first business opened in 1825. Caldersburg had a post office from 1825 – 1831. The town’s boom hit when the Ohio & Erie canal arrived. Construction began in 1827 & was completed in 1830. A church & a new post office were built in 1831, the same year the town changed its name to Roscoe, after William Roscoe, a popular English author. The Walhonding Canal was constructed from 1836 – 1842. It stretched northwest to the edge of Coshocton County & connected to the Ohio & Erie Canal at Roscoe. When it was completed, Roscoe became one of the most important shipping centers on the entire canal system in Ohio. Many of the townspeople would come out to greet new boat arrivals. In the 1840s Roscoe had 5 dry goods stores, 2 saw mills & flour mills, 2 grocery stores, a grain warehouse, & every other kind of business that a modern towns had in that era. Unfortunately Roscoe lost its railroad hopes as the city of Coshocton was chosen for a stations on the Wheeling & Lake Erie Railroad & the PCC & St. Louis Railroad. Roscoe’s worst fear came in 1913 when its canal system was almost totally destroyed in the massive flood that year. The town continued to lose population over the next few decades & the post office was disbanded in 1961. A few years later, Edward & Francis Montgomery started efforts to restore the aging businesses & homes in Roscoe. The Roscoe Village Foundation was formed which did an awesome job restoring the historic district! Although Roscoe is in the city of Coshocton these days, it still has its own identity & small town charm.